PERMA CONSTRUCTION AIDS PVT. LTD established in 1996, is an ISO 9001, 14001, OHSAS 18001 certified Company. 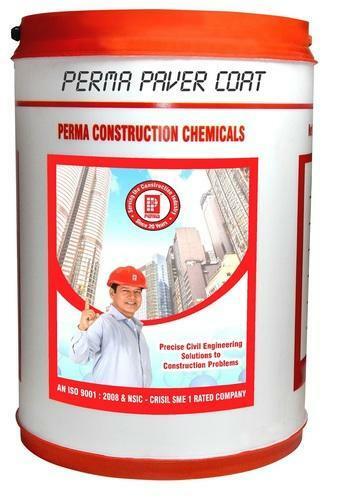 The Company currently supplies Construction Chemicals in India and in the neighbouring countries of Sri Lanka, Nepal and Bangladesh under the brand name of "PERMA". The Company also has a rating of SME 1 & MSE 1* awarded by CRISIL which describes the financial strength of the company. We have wide range of Construction Chemicals i.e Waterproofing Material , SBR Waterproofing Chemical , Quick Setting Concrete Admixture ,Powdered Tile Grout , Concrete Waterproofing Admixtures , Waterproofing Products ,Cement Grout , Metallic Floor Hardener , Fibre Plastering Mesh , Block Bonding Adhesive ,Water Stopper , Wall Putty , Construction Waterproofing Material , Marble Tile Adhesive , Granite Tile Adhesive , Stone Fixing Adhesive , Ceramic Tile Adhesive , Marble Joint Filler , Granite Joint Filler , Mosaics Tiles Joint Filler , Epoxy Based Waterproof Tile Joint Filler , Waterproofing Construction Products , Crack Filling Product , Internal Wall Crack Filling Product , Beam Crack Repair Product , Column Crack Repair Products , Structural Repair Products , Micro Concrete For Concrete Repair , Fast Setting Concrete Admixture , Floor Hardening Compound , Floor Hardener Powder , Integral Waterproofing Powder , Plaster Waterproofing Chemical , Cementitious Tile Joint Grout , Paver Block Hardener , Paver Block Admixture or Paver Block Hardener Chemical ,Concrete Hardener Chemical , Block Fixing Mortar , Concrete Repair Product , Polypropylene Fibers For Plaster , Micro Reinforcement Fibres , Retarding Concrete Admixture, Water Reducing Concrete Admixture etc. for construction.